Easiest eco-friendly all purpose cleaner! 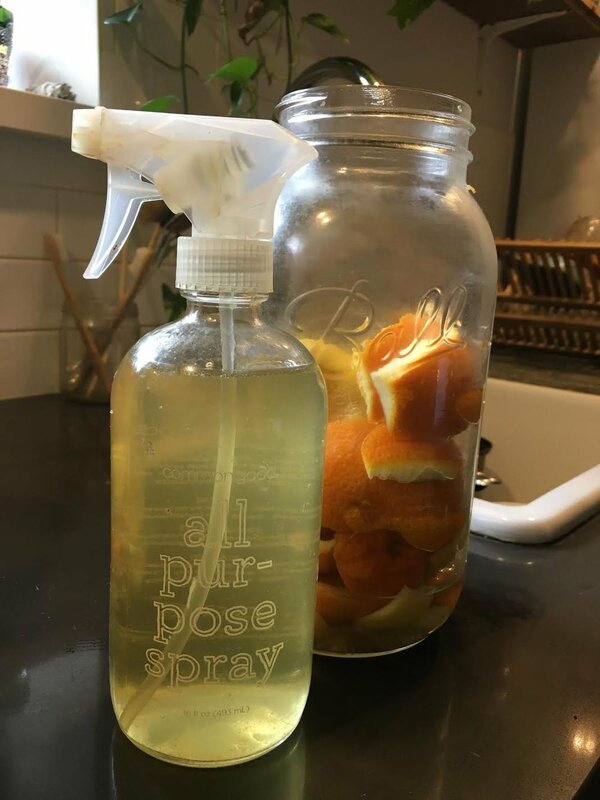 NO plastic packaging, nasty ingredients, or spending way too much money with this incredibly easy cleaner that I use for my entire house! Just save your citrus rinds, buy some white vinegar, and gather a few favorite essential oils. I feel like I should write a lot but theres really nothing more to say here. I'm so in love with this recipe for a clean home and I'm sure I'll be using this recipe the rest of my life! Are you ready? -Essential oils (I rotate between spearmint & lavender together or tea tree. 2. Submerge them fully in white vinegar and keep in fridge for 2 weeks. You can add rinds as you go! 3. After 2 weeks strain out the citrus rinds and compost them. 6. SPRAY YOUR ENTIRE EVERYTHING CLEAN BECAUSE YOU DID IT! WOOO!!! Note: To make it even more eco-friendly, wipe with reusable everyday cloth napkins or "unpaper" towels. You can find some on Etsy or make your own using cloth or towels you don't use anymore and cut them into squares. 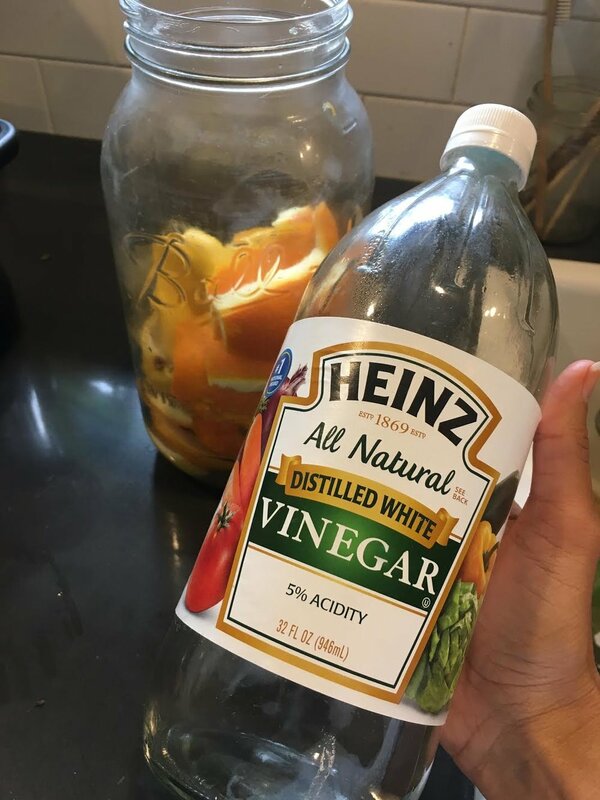 Fill up your citrus rind jar with white vinegar!